LA JOLLA, CA – July 10, 2018 – Wearable mobile health devices improved the rate of diagnosis of a dangerous and often hidden heart condition called atrial fibrillation (AFib), according to a first of its kind, home-based clinical study conducted in part by researchers at the Scripps Translational Science Institute (STSI). By catching AFib, which can increase the risk of stroke fivefold, in people who are at risk but might have gone undiagnosed, the mobile health (mHealth) devices resulted in more people receiving critical preventive therapies, the study found. "Our study shows an almost threefold improvement in the rate of diagnosis of AFib in the those actively monitored compared to usual care," says Steven Steinhubl, MD, director of digital medicine at STSI and an associate professor at The Scripps Research Institute (TSRI). "Timely diagnosis of AFib more effectively can enable the initiation of effective therapies and help reduce strokes and death." Findings from the mHealth Screening To Prevent Strokes (mSToPS) study were published today in the Journal of the American Medical Association. As many as six million Americans live with AFib, an irregular heartbeat (arrhythmia) that beyond its associated stroke risk also doubles the risk of death. Fortunately, effective therapies can help substantially reduce the risk of stroke in individuals diagnosed with AFib. However, approximately a third of individuals with the disorder are asymptomatic, and the lack of effective screening prevents or delays diagnosis and treatment. Recent advances in digital medicine technologies present opportunities for both innovative screening strategies, as well as more inclusive and participant-centric approaches to clinical research. Novel mobile health (mHealth) devices can provide a means of monitoring AFib more effectively and continuously without interfering with routine activities. The mSToPS study sought to compare outcomes of intermittent screening for AFib during regular visits to a primary care physician with continuous, single-lead electrocardiogram (ECG) monitoring using a patch sensor. The primary objective was to determine whether monitoring with wearable sensor technology can identify people with asymptomatic AFib more efficiently than routine care. STSI researchers teamed with Aetna's Healthagen Outcomes unit and Janssen Pharmaceuticals, Inc., to conduct the study using the FDA approved wireless iRhythm Zio®XT patch for ECG screening. Aetna's data and analytics made the innovative study design possible. The study population consisted of members of the Aetna fully insured Commercial and Medicare health plans. Using Aetna's data sets, eligible members were identified based on clinical characteristics associated with a possible increased incidence of AFib. They were invited to participate in the study through a nationwide email outreach campaign that then enabled interested participants to enroll through a web-based digital consent process. The digital outreach and enrollment, and the home-based approach meant that anyone who met the inclusion criteria could participate in the study, regardless of their geographical location. All of the study data was participant-generated, with individuals self-applying the wearable sensor they received in the mail and returning it to iRhythm for analysis once they had worn the patch for up to two weeks. The generated data was also returned to the monitored participants and, with their approval, to their physicians. A total of 5,214 individuals were included in the one-year analysis, with a third being assigned to the monitored cohort and the rest being observational controls. AFib was newly diagnosed in 6.3 percent of the monitored participants and in 2.4 percent of the controls. According to Steinhubl, this is the first study to describe the early term clinical consequences of active ECG screening. By reviewing claims data, the researchers observed that active monitoring was associated with increased initiation of anticoagulant and antiarrhythmic therapies. "This study demonstrates the utility of a digital approach not only to diagnosing asymptomatic AFib, but to the clinical research field as a whole," says Steinhubl. "We hope that it will set a precedent for future real-world, participant-centric clinical trials that leverage the power of digital medicine technologies." STSI's founder and director Eric Topol, MD, also a TSRI professor, deems the use of digital sensors as vital to the future of medicine and clinical research. "For clinical research to change practice it needs to be more participant focused and reflect the real world of those participants, by taking advantage of digital tools and infrastructure that is possible as never before," says Topol. Additional authors of the study, " Effect of a Home-Based Wearable Continuous ECG Monitoring Patch on Detection of Undiagnosed Atrial Fibrillation" were Jill Waalen, Lauren Ariniello and Katie Baca-Motes of the Scripps Translational Science Institute; Alison Edwards and Rajesh Mehta of Healthagen Outcomes; and Chureen Carter, Elise Felicione and Troy Sarich of Janssen Scientific Affairs. The research was supported by a research grant from Janssen Pharmaceuticals. Additional support was provided by a National Institutes of Health's National Center for Advancing Translational Sciences grant (UL1TROO1114) and a grant from Qualcomm Foundation. Scripps Research is one of the world's preeminent independent, not-for-profit organizations focusing on research in the biomedical sciences. Scripps Research is internationally recognized for its contributions to science and health, including its role in laying the foundation for new treatments for cancer, rheumatoid arthritis, hemophilia, and other diseases. An institution that evolved from the Scripps Metabolic Clinic founded by philanthropist Ellen Browning Scripps in 1924, the institute now employs more than 2,500 people on its campuses in La Jolla, CA, and Jupiter, FL, where its renowned scientists-including two Nobel laureates and 20 members of the National Academies of Science, Engineering or Medicine-work toward their next discoveries. The institute's graduate program, which awards PhD degrees in biology and chemistry, ranks among the top ten of its kind in the nation. For more information, see http://www.scripps.edu. 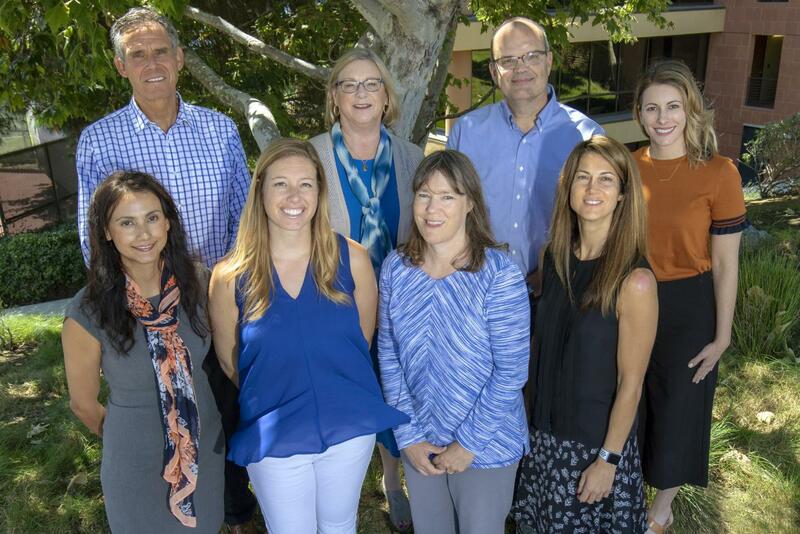 The Scripps Translational Science Institute (STSI) at Scripps Research focuses on individualized medicine, using the tools of digital medicine and genomics to better understand each person and render more effective healthcare. In 2016, STSI was awarded a grant for over $200M by the National Institutes of Health's Precision Medicine Initiative to lead the All of Us Research Program's Participant Center. STSI is further supported, since 2008, by the flagship NIH Clinical and Translational Science Awards to promote human health and train future leaders in biomedicine. For more information, visit http://www.stsiweb.org.